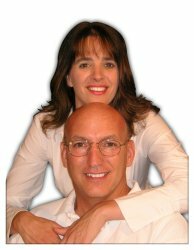 Joe & Colleen Lane, Realtors® serving your Kennewick, Pasco, Richland & West Richland Washington Real Estate needs. For most of our 27 years of marriage, we’ve owned and managed service businesses. Our customers come first as we offer a well organized, professional approach to the real estate business. Integrity is our ideal and we are committed to doing what we’ve said we will do. No compromises, no mistakes. We have helped set a higher standard for the real estate industry and we take pride in the reputation we have earned. Phone calls are returned promptly, appointments are kept, fees are fair, workmanship standards are high, and we arrive ready to do our best work for you, our client. Professionalism isn’t a marketing buzz-word, for us it is a duty we owe to the industry and to you. Being Realtors®, we subscribe to the National Association of Realtors® code of ethics. An excerpt from the NAR Preamble reads: “Under all is the land. Upon its wise utilization and widely allocated ownership depend the survival and growth of free institutions and of our civilization. REALTORS ® should recognize that the interests of the nation and its citizens require the highest and best use of the land and the widest distribution of land ownership…” We believe this wholeheartedly. We bring our years of experience in real estate and the real estate industry to the table when we work for you. As of the time of this writing, we own and manage 22 rental units in the Tri-Cities area. This property management/real estate experience dates back prior to our marriage of more than two decades. Before marriage, I served as a United States Marine for six years honing my leadership, communication and organizational skills. I brought these skills and more to our marriage, home, and business when we bought our very first rental property in November, 1986. I’ve since gained general construction, land development, property management, 1031 exchange, and real estate purchasing and selling experience. ~I am a graduate of Christian Heritage College, El Cajon, CA with a bachelors degree in Business Management and Marketing. Minor degrees include Accounting and Pre-Law. ~I served in the security specialty during my time as a United State Marine. I hold security clearances necessary for military embassy duty. ~I am a licensed General Building Contractor (lic# 555251) in the State of California. 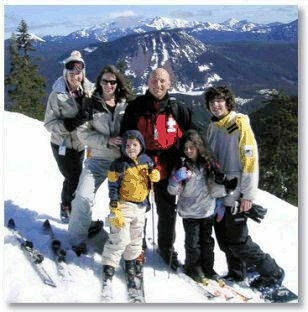 ~I am a member of the National Ski Patrol and have served on the White Pass Ski Patrol Board as Treasurer. I am currently a Senior Patroller. ~Colleen and I have 5 children. The oldest is 23 years, the youngest is 7! ~Our entire family actively serves as members of Bethel Church in Richland, Washington. Our volunteer work includes leadership, men’s ministry, children’s ministry, and general volunteer work throughout the church. ~I am currently a member of Bible Study Fellowship. Before marrying Joe, I worked in the mortgage industry as a loan officer. It was this familiarity that helped in acquiring our first rental property twenty years ago. I have continued to learn about the real estate industry during the market’s many ups and downs. ~I have held current and valid real estate licenses in both the State of Washington and the State of California since 1994. ~Together we have owned and managed as many as 24 separate rental units in the Tri-Cities area. 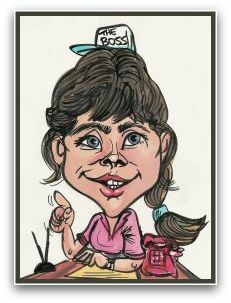 ~I am a former mortgage banking employee with 20 years of accounting, tax, marketing, and general business experience. ~Joe and I have 5 children. The oldest is 23 and the youngest is 7!